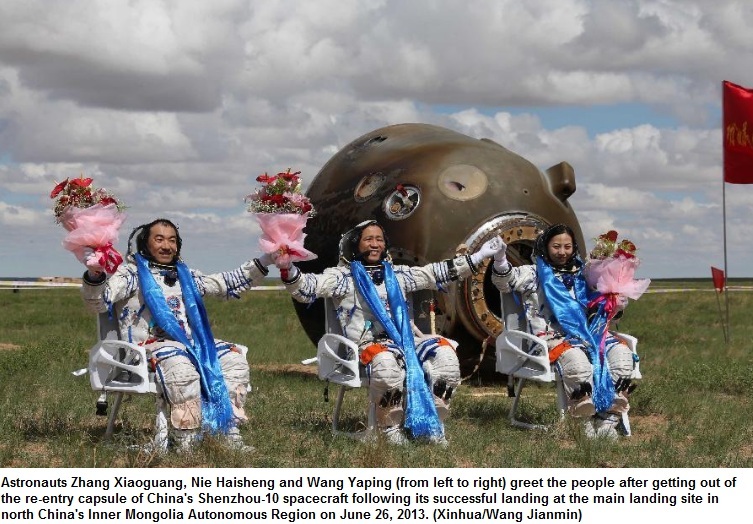 The astronauts travelled on the Shenzhou-10 craft to China’s space laboratory, the Tiangong-1. 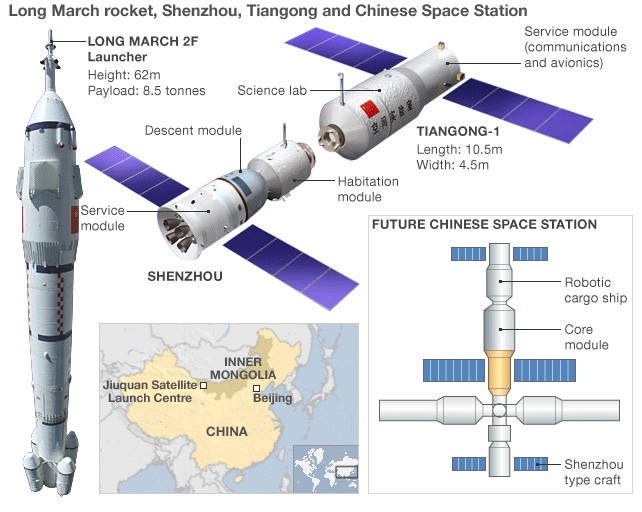 The Shenzhou-10 is China’s fifth manned space mission and came 10 years after China first sent an astronaut into space. 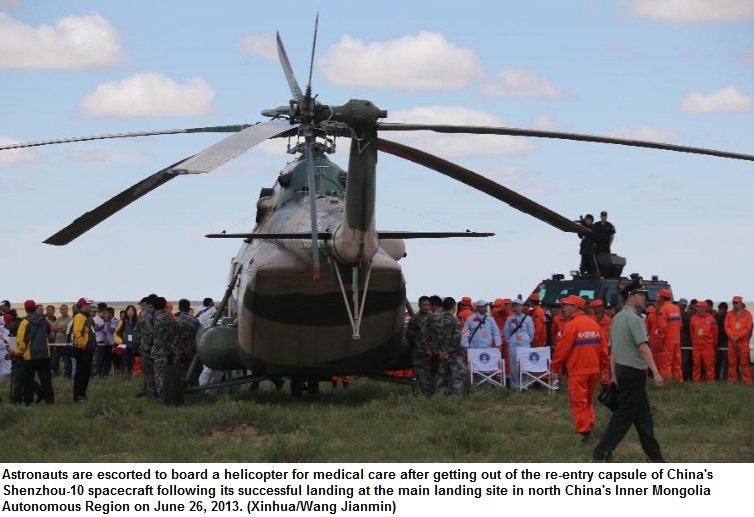 State TV showed the capsule touching down in grassland in the Inner Mongolia region at around 08:07 local time (00:07 GMT). The mission control centre burst into applause after the crew were reported to be safe and well, reports said. Mission commander Nie Haisheng was the first to exit the capsule at 09:31 (01:31 GMT), followed by colleagues Wang Yaping and Zhang Xiaoguang. 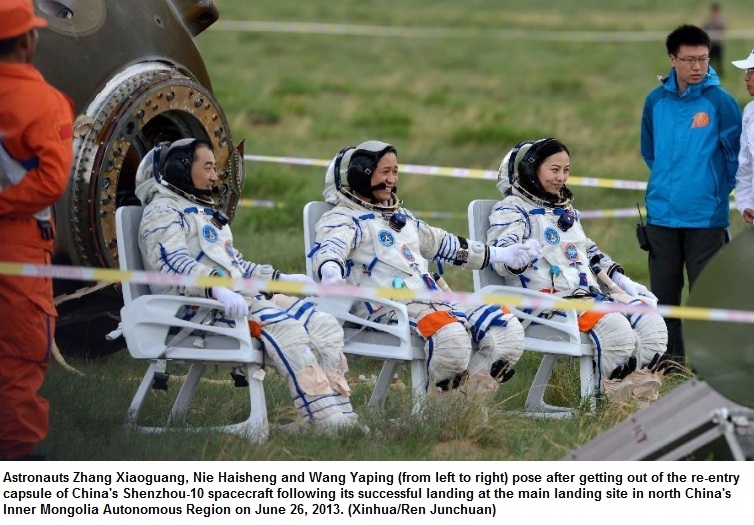 The astronauts needed time to allow their bodies to adjust to Earth’s gravity before emerging from the space capsule, Chinese media said. 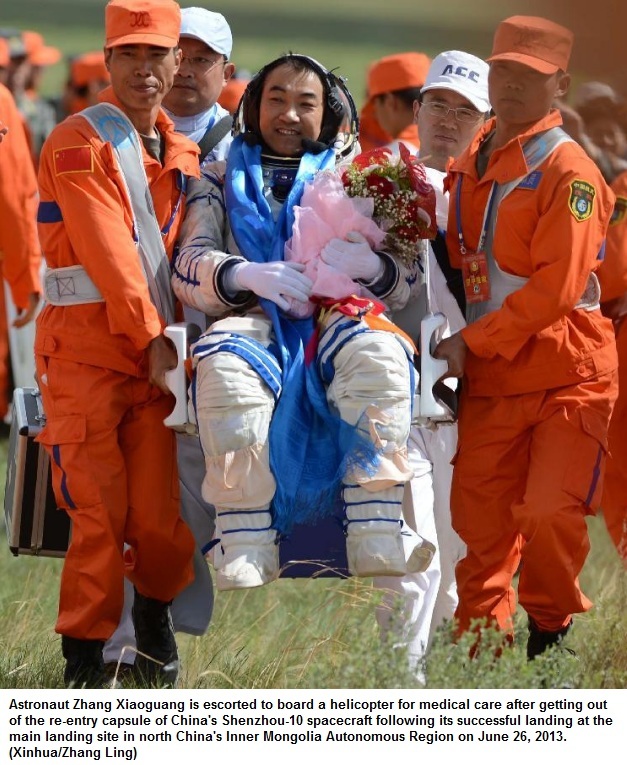 Mr Nie, who has been on one previous space mission, has now spent more hours in space than any other Chinese astronaut, having clocked up over 470 hours across his two missions, China’s state-run Xinhua news agency reported. Meanwhile, Wang Yaping, China’s second woman in space, delivered the country’s first space lecture from the Tiangong-1. China plans to eventually put a permanently manned space station above the Earth.